1Not available with special finance, lease or some other offers. Take delivery by 04-30-2019. See dealer for details. 2Not available with lease and some other offers. See dealer for details. 3Not available with special finance or lease offers. Take delivery by 04-30-2019. 4Not available with special financing, lease and some other offers. See participating dealer for details. 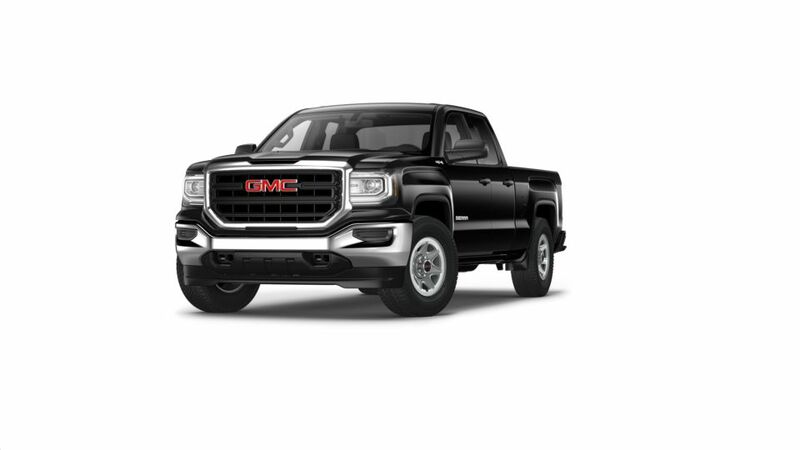 52019 GMC Sierra 1500 Double Cab Limited Save Up To $14,003 OFF MSRP* or Leases Starting at $239/mo** or 0% for up to 84mo*** ^Purchase and Lease offers include rebate for financing with GM Financial and $3000 GM Lease loyalty Rebate === *Savings amount in lieu of any special finance rates and cannot be combined with any additional coupons or offers. *$14,003 is the total and maximum savings after all rebates, coupons and dealer discounts. Must currently Lease a 1999 or newer GM vehicle to receive $3000 GM Lease Loyalty Purchase Rebate. Offer for 2019 GMC Sierra Double Cab limited N171532. Advertised pricing does not include tax, title, MV, or $499 Dealer Doc Fee. May not combine or be enhanced by GM Purchase Program Discounts. ** The dealer in this advertisement & their marketing firm are not responsible for errors or misprints. Prior Sales Excluded. All incentives to dealer. Vehicle photos intended for illustrative purposes only. *All payment offers subject to approved credit through primary lender with A-Tier approval or better. Monthly payments are based on 36 month lease for 10,000 miles per year (25¢ per mile over) with $3995 down, first payment due at signing and does not include tax, $499 Doc Fee, or MV Fees, must qualify for GM Lease Loyalty Rebate for $2000. MSRP $43,270 Residual: $25,962. Total of payments is $12,599. Example vehicle N167110. See dealer for complete details. All offers expire 4/30/19 ** The dealer in this advertisement & their marketing firm are not responsible for errors or misprints. Prior Sales Excluded. All incentives to dealer. Vehicle photos intended for illustrative purposes only. *All payment offers subject to approved credit through primary lender with A-Tier approval or better. Monthly payments are based on 36 month lease for 10,000 miles per year (25¢ per mile over) with $3995 down, first payment due at signing and does not include tax, $499 Doc Fee, or MV Fees, must qualify for GM Lease Loyalty Rebate for $2000. MSRP $43,270 Residual: $25,962. Total of payments is $12,599. Example vehicle N167110. See dealer for complete details. All offers expire 4/30/19 ***0% for up to 84 months is for qualifying customers with an A1 Tier Approval through GM Financial. The 0% Offer will not combine with the maximum savings or lease offers. See dealer for complete details. 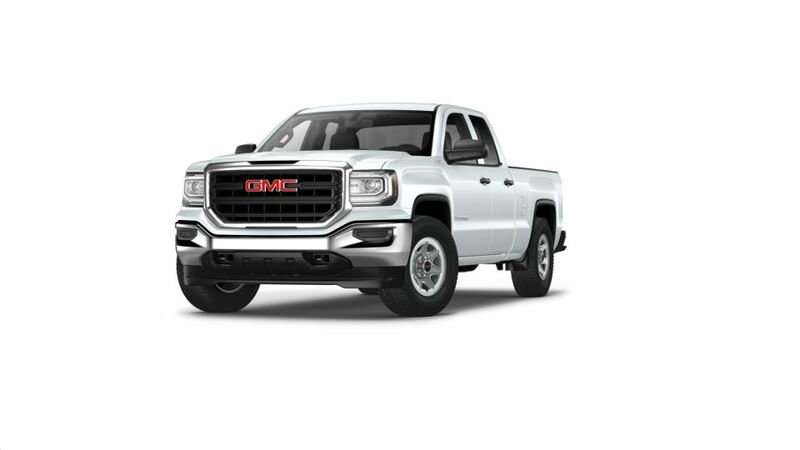 All offers expire 4/30/19 62019 GMC Sierra 1500 Double Cab Limited Save Up To $14,003 OFF MSRP* or Leases Starting at $239/mo** or 0% for up to 84mo*** ^Purchase and Lease offers include rebate for financing with GM Financial and $3000 GM Lease loyalty Rebate === *Savings amount in lieu of any special finance rates and cannot be combined with any additional coupons or offers. *$14,003 is the total and maximum savings after all rebates, coupons and dealer discounts. Must currently Lease a 1999 or newer GM vehicle to receive $3000 GM Lease Loyalty Purchase Rebate. Offer for 2019 GMC Sierra Double Cab limited N171532. Advertised pricing does not include tax, title, MV, or $499 Dealer Doc Fee. May not combine or be enhanced by GM Purchase Program Discounts. ** The dealer in this advertisement & their marketing firm are not responsible for errors or misprints. Prior Sales Excluded. All incentives to dealer. Vehicle photos intended for illustrative purposes only. *All payment offers subject to approved credit through primary lender with A-Tier approval or better. Monthly payments are based on 36 month lease for 10,000 miles per year (25¢ per mile over) with $3995 down, first payment due at signing and does not include tax, $499 Doc Fee, or MV Fees, must qualify for GM Lease Loyalty Rebate for $2000. MSRP $43,270 Residual: $25,962. Total of payments is $12,599. Example vehicle N167110. See dealer for complete details. All offers expire 4/30/19 ** The dealer in this advertisement & their marketing firm are not responsible for errors or misprints. Prior Sales Excluded. All incentives to dealer. Vehicle photos intended for illustrative purposes only. *All payment offers subject to approved credit through primary lender with A-Tier approval or better. Monthly payments are based on 36 month lease for 10,000 miles per year (25¢ per mile over) with $3995 down, first payment due at signing and does not include tax, $499 Doc Fee, or MV Fees, must qualify for GM Lease Loyalty Rebate for $2000. MSRP $43,270 Residual: $25,962. Total of payments is $12,599. Example vehicle N167110. See dealer for complete details. All offers expire 4/30/19 ***0% for up to 84 months is for qualifying customers with an A1 Tier Approval through GM Financial. The 0% Offer will not combine with the maximum savings or lease offers. See dealer for complete details. All offers expire 4/30/19 7Not available with some other offers. Take delivery by 04-30-2019. 8Not available with some other offers. Take delivery by 04-30-2019. 9Not available with some other offers. Take delivery by 04-30-2019. 10Not available with some other offers. Take delivery by 04-30-2019. 11Must finance through GM Financial. Not available with leases and some other offers. Take delivery by 04-30-2019. See dealer for details.